Published: Nov. 10, 2014 at 12:06 a.m. Updated: Nov. 10, 2014 at 08:15 a.m.
1. Coach Mike McCarthy insisted two weeks ago that Rodgers is a "much better player" now than he was in a historically great 2011 season. Sunday's game is exhibit "A" in that case. Rodgers joined former Oakland Raiders quarterback Daryle "The Mad Bomber" Lamonica as the only players with six touchdowns in the first half of a game. He has been unstoppable in the first quarter, finding the end zone on the opening drive of five of the past six games. There's no reason to believe Rodgers wouldn't have broken the NFL single-game record of seven had he not been removed early in the third quarter after staking his team to a 45-0 lead. 2. Green Bay's defense got a shot in the arm from Clay Matthews, who moved from outside linebacker to inside linebacker coming out of the bye week. The switch was made with the intention of bolstering the NFL's worst run defense. It was a smashing success. Matthews set a stalwart tone with 11 tackles and pressured Jay Cutler several times on inside blitzes. The logical inference is that Dom Capers will keep Matthews in the middle, leaving Nick Perry as the bookend edge rusher opposite Julius Peppers. 3. The Bears became the first team since the Rochester Jeffersons in 1923 to surrender a 50-burger in back-to-back games. They have no semblance of a pass rush after buying a trio of defensive ends in free agency and selecting a pair of defensive tackles in the first three rounds of the 2014 NFL Draft. That's not helping a dire situation in the defensive backfield that has been among the NFL's most exploitable for three years now. General manager Phil Emery needs to find an impact safety after hitting on promising cornerback Kyle Fuller in the first round this year. 4. As the result of his lucrative offseason extension, Jay Cutler is earning $22.5 million this year -- more than any player in the NFL. His 3-6 outfit has entered halftime down 14-0, 38-7 and 42-0 the past three games. That's expensive porridge the Bears have left out for the NFL's version of Goldilocks. 5. Brandon Marshall was ruled out for the remainder of the game after injuring his ankle early in the fourth quarter. Marshall tried to re-enter but the ankle wouldn't cooperate. This had the look of a sprain with potential to linger. He struggled mightily while attempting to play through a high sprain to the other ankle early in the season. 6. 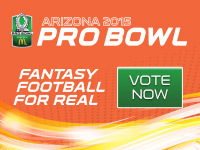 Put Jordy Nelson on your Pro Bowl ballot, please. He's among the league leaders in receptions, yards and touchdowns even with the Packers taking the air out of the ball throughout the second half of three different blowouts. 7. While there's a black cloud hanging over Chicago this season, the Packers continue to look as strong as any NFC squad. They need to concentrate on leapfrogging the Lions and capturing homefield advantage in the next two months.